We refer to a “relief” as a 3 dimensional flat sculpture that can be mounted on a door or wall. 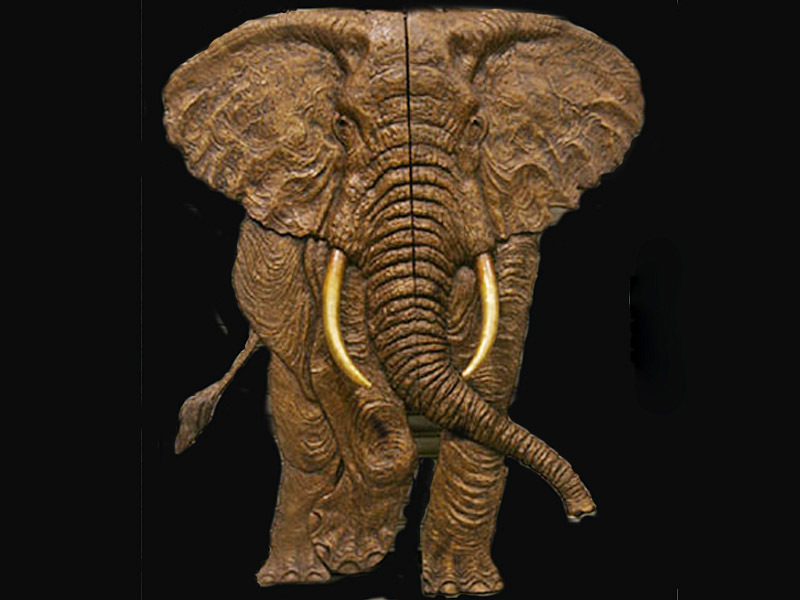 This elephant is a perfect door face, with bronze tusks as the door handles. It was originally created for the Van Howd Studios gallery door. It is available in one piece for a large door, or laser cut in two halves for double doors. It can also be seen on the entry door in the Reno Peppermill for the African Suite.